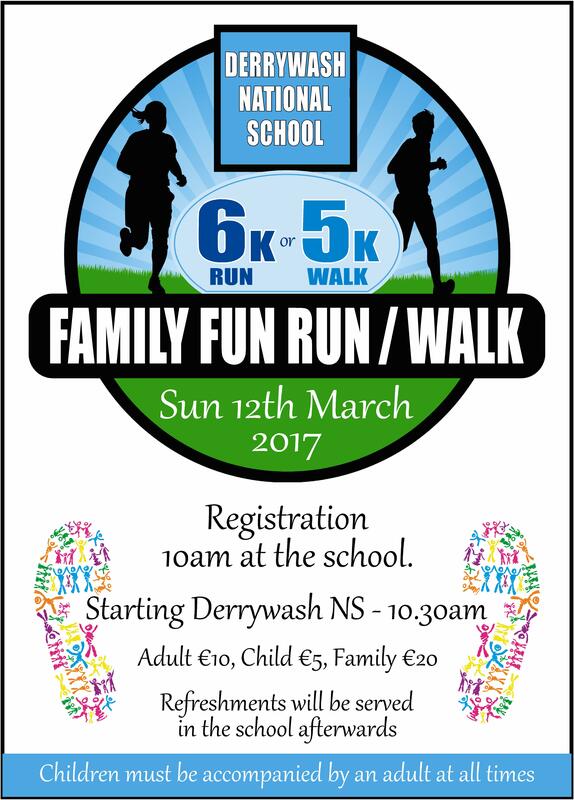 Derrywash 6k Fun Run and 5k Walk is an annual event aimed at runners and walkers of all abilities and levels of fitness. Roads will be closed off for the 6k circuit and water stations will be provided on the course. The route starts and finishes at Derrywash National School and there are toilet facilities there. When the event is over everyone can relax over a cup of tea and some of our famous homemade baking. Registration at 10am and the Race starts at 10.30am sharp. Adult €10, Child €5, Family €20.